I’ve heard people say that Tony Bennett is a singer’s singer, the consummate performer, the pitch, the tone, the tempo, the clarity, the inflection, all always spot on. The same can be said of writing and Jean Lee, a woman I know solely through blogging (although no doubt we’ve hung out on the astral plane), and am now happy to call friend; she is the equivalent — a real writer’s writer. Jean Lee is a Wisconsin born and bred writer excited to share her young adult fiction with those who love to find other worlds hidden in the humdrum of everyday life. Her first novel, Fallen Princeborn: Stolen, debuts, Halloween 2018 from Aionios Books. She also blogs regularly about the fiction, music, and landscapes that inspire her as a writer . You can find Jean on her site, as well as on Facebook, Twitter, and Instagram under the handle @jeanleesworld. She currently lives in the Madison area with her husband and three children. Do you use a pen name and if so, why? I do! I grew up in the Midwest, where many people knew my parents and therefore knew me by default. When I started writing three years ago, I wanted to earn respect for my skills based on my skills alone, not because of whom I was related to or where I had come from. Writing under a pen name has also allowed me to work through some very raw, bloody pieces of my life I couldn’t otherwise share because of other individuals involved. Writing’s always been a part of me. I started doodling picture books before I was school-age. I still distinctly remember drawing a monster kidnapping a kid, forcing him to make giant peanut butter and jelly sandwiches, and then Superman flying in to tie the monster up and save the day. I kept writing stories and plays all through elementary school, high school, and college. I went on to study creative writing in graduate school, which…okay, I didn’t really learn what to do so much as what not to do. I still consider those years worthwhile, as they taught me to handle peer criticism with grace. But I also learned that what I wanted to write—genre writing—isn’t “important” like literary fiction is. Bah, I say! You write what YOU want to write, forever and always. If you can’t write with a passion, then what’s the point? What’s your routine? Do you take breaks, or write until you fall asleep at your keyboard? My routine is eternally in flux because of children. I stole whatever writing time I could when my children were infants, often early in the morning or during nap time. Once my children started attending school part-time, I divvied that time between writing and teaching. Now that the kids are in school full-time, I actually have several hours to budget! However, as amazing as having a contract is, it also means I’m now divvying the hours not only with teaching and writing, but also marketing, reviewing, corresponding, commenting, and editing. Some days I’m up from four in the morning until midnight; other days I’m off with the kids all day. So long as I follow the list of what’s got to get done and when, I just take a deep breath and pray it all gets done. What is your favorite genre of book to write? to read? As far as writing goes, I LOVE to write fantasy. It’s the perfect blending genre. 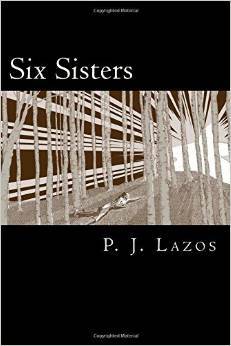 You can stick a murder mystery in there, a family drama, a coming-of-age quest, a romance, a horror. It can all fit into a fantasy when done right. Reading-wise, I’ll usually reach for either a cozy mystery by the likes of Agatha Christie or P.D. James, or a fantasy by the likes of Diana Wynne Jones or Peadar Ó Guilín. All author’s I’ve never read — although I do have the Diana Wynne Jones book on writing on my Kindle which is on my shortlist of what to read next. BTW, what’s your favorite book and who’s your favorite author? Diana Wynne Jones, hands down! Her stories are always a joy to read—I’m not ashamed to giggle like a ninny no matter who’s around me when I read them. No way can I pick a favorite novel. There are just too many good ones in every genre! I can say that Howl’s Moving Castle is my favorite Jones novel, with Deep Secret running a close second. As far as craft books go, I’d recommend Jones’ book Reflections on the Magic of Writing. It is both instructive and insightful into her life, the publishing process, and the development of strong storytelling. Do you think writing is a form of therapy and, if so, has it helped you work through anything in particular? Oh heavens, yes. I suffered very, very severe postpartum depression when my twin sons were born. 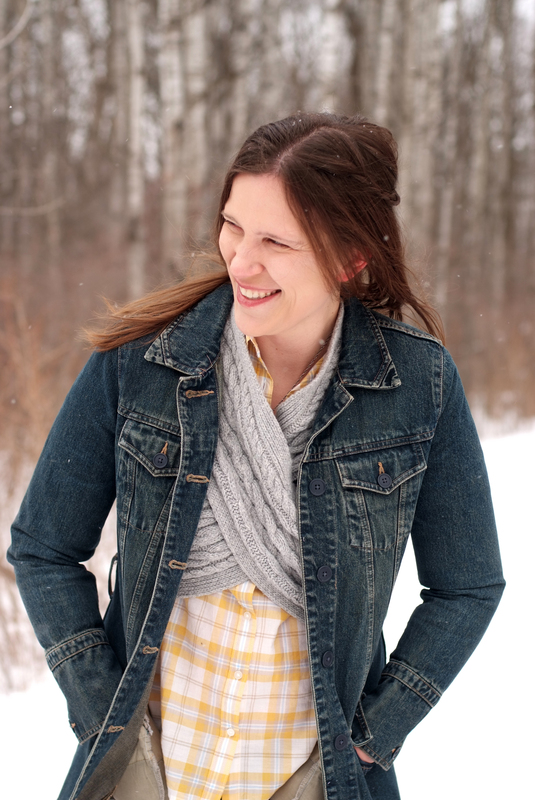 Alone in the house with three tiny ones always needing, never sleeping, colic screaming…plus, I was teaching from home, and my husband’s hours kept him gone for many of the children’s waking hours, so I was more or less a single parent for three years. I lived one day at a time—on bad days, one hour at a time. Writing helped me face my demons, and battle back against the anger, fear, sadness, and regret. Today writing continues to be one of the greatest tools I wield against depression. It’s also a way for me to maintain perspective in the highs and lows of parenting. “Use your words,” I always tell my children when they’re frustrated or upset. Such advice is good for us all. Do you work outside of writing? Because I teach online—and the kids are in school—my time to write can be in the morning or early afternoon. It all depends on my mindset, on the marketing to-do list, and on the ever dreaded grading pile. I’ve always found inspiration in powerful instrumental music from composers like John Powell and James Horner. Inspiration also used to be the bizarre dreams I’d have on 1-2 hours of sleep in the midst of nursing children. Nowadays it still comes from music, but also the adversities my children face…and create. So there’s nooooo end of inspiration to be found in this house. Both, which is likely the worst possible combination. I often have a rough idea where the story needs to go, with a moment or two in dew-drop level of detail. But bringing light to the story around the moments is a long process, often requiring anywhere from three to eight rewrites to complete. It needs to be just right. And I can’t make it just right by forcing it with a rigid plan. Ah yes, totally agree on this. Being both spontaneous and a stickler for detail can result in some really great fiction. So tell me about your other books. 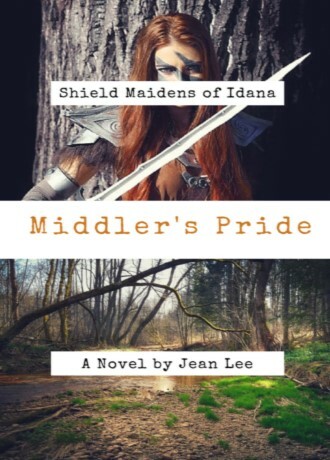 Middler’s Pride is a serialized young-adult fantasy novel available through the subscription service Channillo. I also currently have a number of short stories available for free download under the collection Tales of the River Vine. My young-adult dark-fantasy novel, Fallen Princeborn: Stolen, will available starting Halloween 2018. Congratulations! I’m looking forward to reading Fallen Princeborn: Stolen. I just finish the Tales of the River Vine stories, a wonderful set! So, what do you think? Indie or traditional publishing? Hmmm. I think small press publishing fits snugly between the two. There’s a good deal you need to help with through every stage of the editing and publishing process. While this means you’ve got a lot of creative say on the technical side of things, you also have to complete many tasks that aren’t related to storytelling. It’s tough, but worth that creative power. Three: firstborn daughter Blondie, our geologist and Inventor of Puppy-Helping Devices, and the twins, Biff and Bash. Biff’s our reader and Devourer of All Things Cosmic, while Bash is our prankster and Snuggling Storyteller. Have you included your own stories in your writing, some small details, or do you completely make everything up? Either way, how do you interpret the phrase, write what you know? Yes. It’s rather like re-using fabric: I cut out pieces from my own experiences and stitch them onto characters to find the emotional color of the scene. Most recently I did this with the short story “The Preservation Jar”: there’s a moment when the main character, utterly alone, comes into a room still littered with articles other characters have left behind. I pulled upon that experience of coming to my parents’ house the day my father died, and finding his work coat, books, and notes scattered about the kitchen as if all was a normal day. You don’t have to know an experience to write it. You have to know the feelings of that experience to write it. I love the metaphor of fabric. And yes, if you nail the emotion, you can make most anything work. What about research? How much do you do before you begin a writing project? I kid. Seriously, I tend to do very little research—as I once explained on my website, I tend to “Google as I go.” This stems from writing in the midst of motherhood; writing minutes should be WRITING minutes, not reading minutes! So long as I can get a few facts and a few visuals in my head, I can pants my way through the rest. Same same. I think we might be split aparts! So much fun this has been! But I’ve got to get it posted if it’s going to help get the word out about your new book so the final question is: do you think writing can save the world? YES. I tell my students this all the time. So much of today’s problems revolve around misunderstanding and misconception. Everyone’s quick to jump to the soundbytes and react out of context, which creates more reactions and more soundbytes and more reactions to the point where all is completely distorted from the original issue. If people took the time to read completely, and to write their thoughts completely, so much anger and pain could be avoided. Sure, not everyone’s going to agree and bring about world peace, but there’d be a clearer understanding. That’s way more than we’ve got right now. 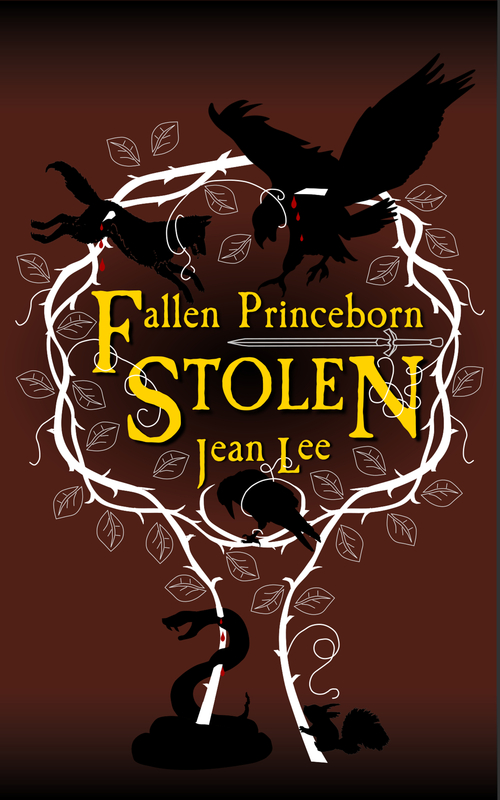 Thanks, Jean Lee, and best of luck with the book launch for Fallen Princeborn: Stolen! 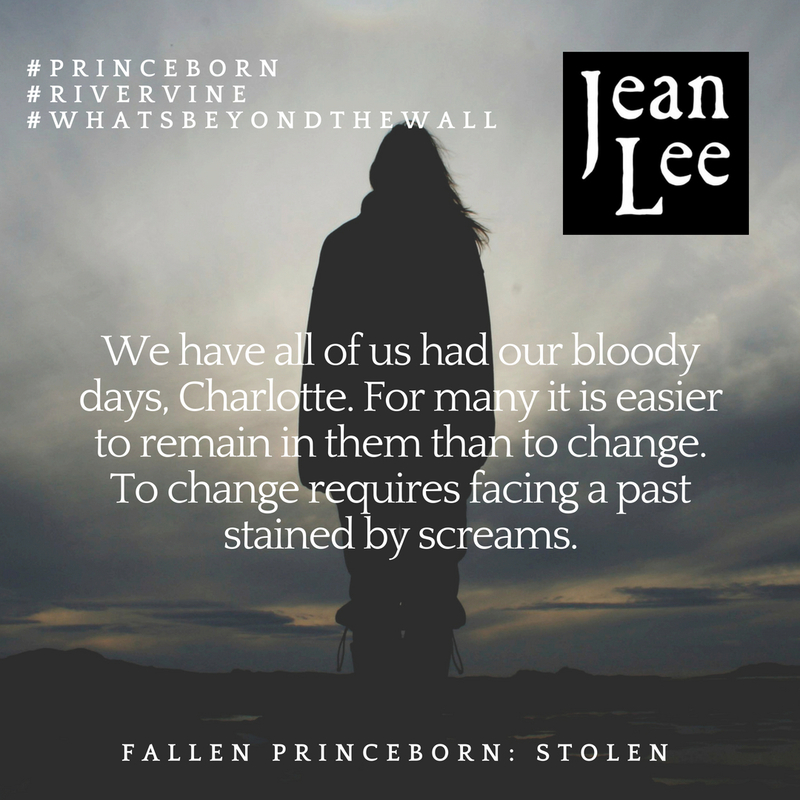 This entry was posted in blog, book review, books, fantasy, Uncategorized and tagged author interview, blog, book launch, books, Fallen Princeborn: Stolen, fantasy, Halloween 2018, Jean Lee, Tales of the River Vine, write, writers. Bookmark the permalink. You’re welcome and have fun! Thanks Pam, for hosting Jean Lee, who is not only a good writer, but a very supportive blog friend. Jean Lee, that cover rocks! Can’t wait to read it. 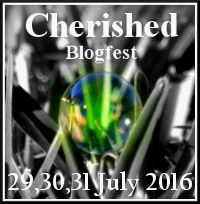 If you’d ever like to do a guest post on my site, hit me up. What a great concept for a story! Thanks for sharing this author and blogger with me [us]. I adore the quote: “To change requires facing a past stained by screams.” Creepy, intriguing, accurate. I look forward to reading Jean Lee’s book. Yay! You won’t be disappointed. 😘Thanks for stopping by, Ally! I’ve added the book to my TBR 🙂 Can’t wait to read it! Jean’s got a jam-packed life, that’s for sure and I feel like a sloth after reading about this busy schedule! I like your thinking Pam. Fallen Princeborn Stolen sounds like a really interesting and imaginative story. Thank you for the lovely introduction to a writer I want to read! I just had a peek at her site…I’m looking forward to wandering through her words! Oh hooray! I hope you like the stories! I can hardly wait to explore your world! Jean’s cool. (I’ve known that for quite a while). Ah…two of my fav galz here today/. How cool is that? Great post Pam! I much enjoyed this glimpse into Jean Lee’s world of family and fiction. Her analogy of fabric is very descriptive. She’s a superwoman for sure. Have a great week and I too wish Jean Lee much success.